Whether you’re looking to create more space and light in your home, or add elegance to your room, Philadelphia turns to Zen Windows for their bay windows. 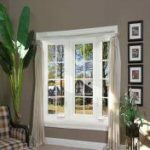 Once you know the characteristics of Bay Windows, Philadelphia homes will never look the same to you again! Bay windows are actually quite easy to recognize. Their distinctive three-panel design expands past the exterior walls of the home, creating additional interior space and adding a sophisticated look to the exterior of your home. 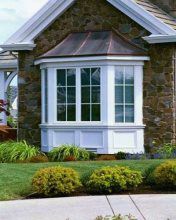 Usually, the center panel of bay windows is wider than the two accompanying side windows and is fixed in place. 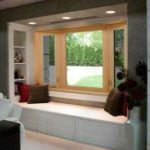 This helps create an unobstructed view of the outdoors, however, it is also possible to install an open center window that allows for even better ventilation to the room. On either side of the center window are two thinner side panels. Rather than fixed windows, these are usually double-hung or casement windows, allowing for easy opening and closing, as well as ample ventilation. How Are Bay Windows Different? Often, people confuse bay windows with bow windows. In addition to having similar names, they also have the same effect. The difference is in the design. While bay windows only have three panels, bow windows are comprised of four or more panels that are joined together in the shape of an arc. 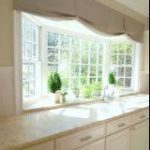 Why Choose Bay Windows For Your Philadelphia Home? If your home is plagued with small, dark rooms, bay windows can make all the difference. They allow ample sunlight to enter from several directions, while providing a panoramic view of your outdoor landscape. 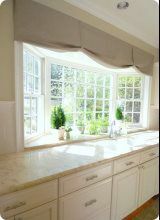 With bay windows, you can open multiple panels to allow for cool breezes from several directions. This helps better circulate air throughout the room. Not only do bay windows allow in more air and sun, they can fit perfectly into any style of home, from classical Victorian houses to homes with a modern design. 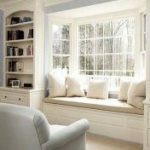 While they are most frequently installed in kitchens and living areas, bay windows can work in any room that needs a little extra space for a cozy reading nook or window seat. 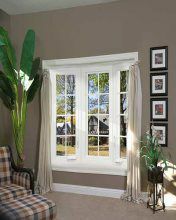 Elegant, clean, and modern – bay windows look great and add extra interior space! If you’re considering selling your home, the visual appeal and extra square footage that bay windows provide can increase your resale value. Because of their restricted angles, it can be challenging to find treatments that perfectly fit your bay window. Your new window may require specially designed curtains or alterations. What may be an advantage for some can be a hindrance for others! While we love the natural light that bay windows allow into the home, for some they may allow too much brightness and heat in. Windows that are designed to protect from solar heat gain will help keep your room cool. As with most windows, you get what you pay for. Low-budget bay windows can be a risky (and expensive) purchase. If your bay windows are not properly fabricated, you could experience structural problems that often lead to cracked, leaky, and saggy windows. Adds value to the property. Bay windows are typically desired due to their aesthetic elegance. Looking from outside the home, the shimmering window gives the home a clean, modern appearance. From within the home, the design and style looks stylish and produces a perception of additional space. Visual appeal and increased square footage increase the resale value of the home. Allows sunlight to enter. The Bay window has a panoramic view, which allows more sunlight to enter in several directions. Offers great ventilation. 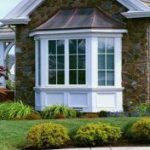 Bay windows include the option of utilizing two opening windows to enjoy a nice cool breeze coming into the home from multiple directions rather than one. Better versatility options. Bay windows are very popular in Victorian homes as well as a favored enhancement for a modern day style. Bays are most popular in kitchens and living areas of newer homes. 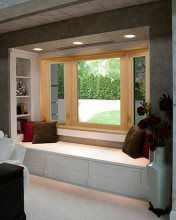 The additional space provided makes for a perfect reading nook or window seat. Allows natural light to enter. This can be either an advantage or disadvantage. Since Bay windows are designed to allow an abundance of natural sunlight to come through, it is important to order windows with high ratings against solar heat gain. Low-budget selections are high-risk. An improperly fabricated bay window is likely to have structural problems. In the event of the foundation to the home settling, structural problems could potentially cause the Bay window to crack and leak. If the window is not effectively supported, it could sag. Should this happen, another replacement window will need to be installed which can cost several hundred dollars or more, depending on the size of the window.